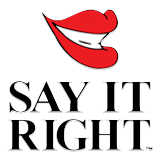 Home » Say It Right » Vocalic R Success Stories! Everyone loves a good story. Just about all school-based speech-language pathologists (SLPs) have also had trouble with a vocalic /r/ articulation disordered student at some point. Perhaps more than one? Come on fess up… Yes, you know what I’m talking about. Been frustrated? Felt like pulling your hair out? But (for most) at some point something worked? What was it? What made a difference? What did you try that worked? For the benefit of those struggling, please share your vocalic /r/ sucess story. I first became aware of this program through an advertisement in ADVACNCE for SLPs. I ordered the R screening kit and the workbook and added it to my materials to help me work on R’s. I used it a couple of times but was still frustrated with some of my students lack of progress and carryover. Last February, I attended our state conference and Christine was one of the speakers. She was the first session on the first day and the room was packed! Everyone wanted to hear how to combat the “R” problem. The more I heard, the more excited I got. She was saying so many of my thoughts about the “R” sound that I have had and more. I ordered several of her materials that weekend and started with the Advanced Screening for R as soon as it arrived. I have a fifth grader whom I have been working with since second grade and he will be moving on to middle school next year. I was feeling like a failure because I didn’t think we were making any progress. After I gave and scored the Advanced Screening, both he and I were amazed at all the sounds he could make. After reading and following the Elicitation book, we started on initial “air” (a sound I never would have picked; we have worked on “er” forever!!! with no success.) Six weeks later he can do it 100% into carryover and after re-screening two other sounds have improved so much we won’t have to work on them. We are both very encouraged. I am also using the “S&Z” and “SH&CH” screenings and programs with great success. Thank you Christine and Jim. Looking forward to more great materials. Hello and thanks from Brazil. As you know, I am a speech and language pathologist and I live and work in Belo Horizonte, Brazil. I´ve been using many of your programs (Entire world of R, S/CH). Of course I had to adapt them to Brazilian Portuguese, and it´s been a success. Next year, Iintend to go to ASHA and meet you all. Hello! I’m a speech-language pathologist in private practice and I see a lot of kids with artic impairments, especially, the dreaded “r”. But I want to tell you I have used your program exclusively for my “r” clients — with phenomenal results. I remember seeing a boy 10 years ago when I was in training and we used the “traditional” approach with him and he made very, very slow progress; indeed, he was in therapy for at least two years and perhaps more, as he was no where near ready for discharge at the point when I graduated. Using your program, my average length of treatment is 6 months (weekly sessions) with great generalization. It is so gratifying to see the satisfaction of parents and kids as they overcome their speech hurtles with ease and even enjoyment, and in record time. If you ever need results data, I would be happy to track data for your studies. To me, The Entire World of R is the only way to treat “r” problems. I am currently working with a high school student who has had speech since the age of three. He entered last year with a residual incorrect production of /r/. I tried many approaches over the past year with some success, but found the student continued to struggle most of the time. I purchased the Entire World of “R” knowing the matieral was intended for a younger audience, but I was willing to try anything. After giving the student the screening, I was able to indentify that he was able to produce the /r/ in only half of the word positions. This program systematically addressed all the remaining positions wonderfully! I am happy to say, he now is using an appropriate /r/! The “Solve & Say” book has been a nice compliment to the program as it is great for an older student. Thank you- I’m not sure this student would have been successful without this program!! Thank you, thank you and thank you. I definitely love the Entire World of R!!!! I have been using this program from the beginning, when you first started back in 2000. I always come to your booth at ASHA. Christine you are wonderful and you have helped me so much with my students. In 2001, I had a student move from another state to Flagstaff, AZ. She was in the 4th grade when she came to my school. She had been receiving Speech therapy for her /r/ and you would never have known. (She had been receiving speech therapy since Kindergarten). She couldn’t approximate the /r/ at all. I came to ASHA and asked Christine what I could do. I remember telling her she could not say her /r/ and Christine told me to have her start with words like “overall.” It worked!!! With the “Entire World of R”, she was able to produce her /r/ in all positions of words. I was able to dimiss her when she started 6th grade. I know that seems like a long time, but remember, I didn’t start therapy with her until she was in the 4th grade! Her IEP from her previous school was written for 30 minutes one time per week. That was not enough. We used the homework lessons to coincide with the Entire World of R lessons and with all of this she was remediated. Yeah!!!! Her mother came to me later that year and she told me that her daughter said she wished I had been her speech therapist at her other school. She said that she would never have been in Speech for that long. I have told my colleagues about “The Entire World of R.” I use the cards, the flip books EVERYTHING!!!! I love the “Entire World of R” and hope that others love it, too!! (I also bought the Entire World of S and it works, too.